They call the kitchen the “heart of the home”, and in our case, this heart was about to have a full blown Heart Attack! Get the nitro ready. Ouch! This kitchen (well, the whole house really) was in such distress. Thankfully, I have always been able to look past the ugly and see the “could be”, so I had big dreams for this space. Ok. Besides the layout (which is certainly a vital part), there is NOTHING about this space that I like. Notta. Zilch. I am still hung up on the trim and door colors. In what world was that color ever acceptable?!?! Anywho- with some work, this space would soon be a beautiful space that we could be proud of. Took out existing flooring (linoleum and carpet) and replaced with laminate hardwood. We got this from Sam’s (surprise! ), and it is Select Surfaces Brazilian Coffee. The color is gorgeous. YES, it shows dirt badly! 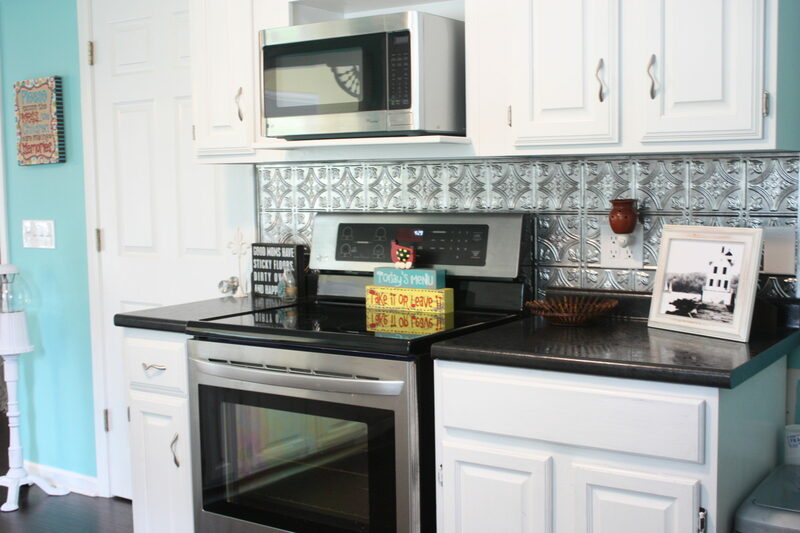 Put back splash in~Visit Lowe’s website for the details of what we used. For only $19.95/sheet, it was a very inexpensive way to add a huge wow factor. This kitchen renovation was honestly very reasonable. 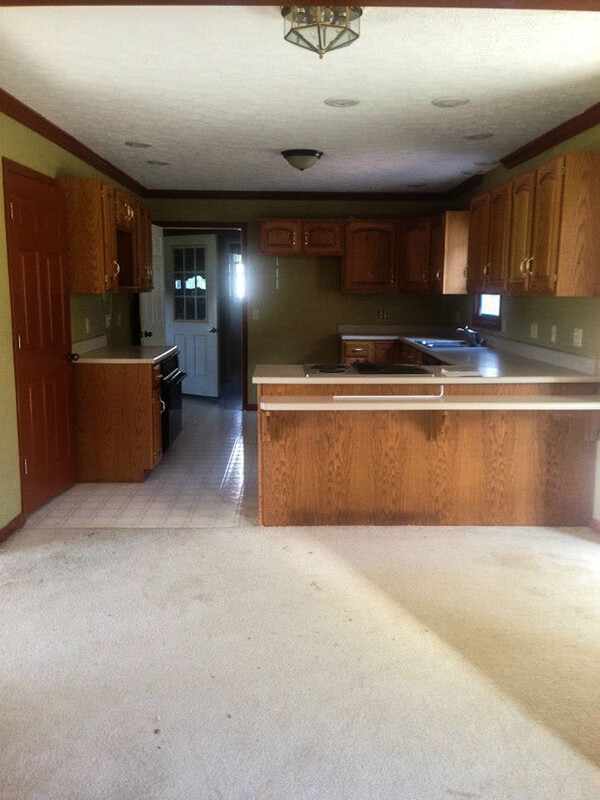 After ALL was said and done (including the flooring), we came in around $4500! For all that was done, I think we did pretty darn good! This is our kitchen NOW! It’s real life up in here on this blog–so yes, my beautiful dark floors are showing some dirt! With 2 toddlers, I do the best I can! LOL. I could not be happier with this lively, fun kitchen! I LOVE the walls (Valspar Gentle Wave) and the way it makes the white just pop! It truly is a happy space where I enjoy being. I am still amazed at the transformation. What do you think? Does an aqua kitchen appeal to you? Thank you so much Katie! YES, We have done so much!! I am still in amazement when I look back on the before pictures. Proof that anything can be made beautiful with a little work! That looks amazing! It makes me want to redo mine. 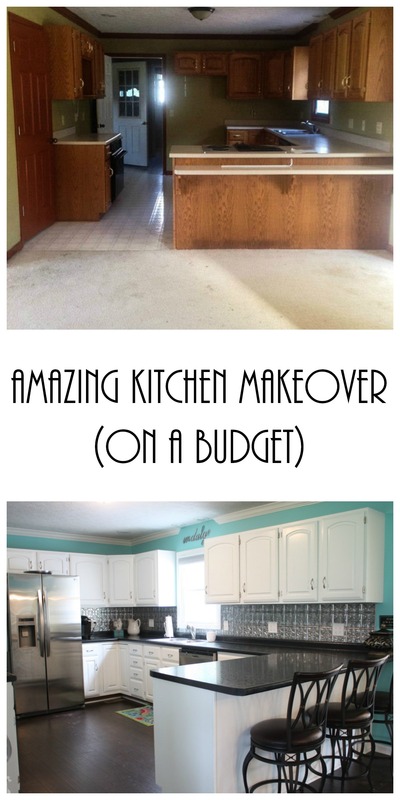 Wow!…The kitchen looks beautiful!…Love the colors and the blend into the dinning room…You could add some crown molding above the cabinets and it gives more off a custom look, I did it to mine and it made such a difference…All the rooms look awesome! I also have bought one of those houses with one of those kitchens and need to paint all the cupboards and also the counter top:(. What paint did you use on your cupboards they look beautiful and did you need to sand and prime them. Any expertise and tips would be gratefully accepted. Thanks for the help!! We actually had them painted. He used an oil based white paint, removed all the doors and sprayed it on. He also primed before painting. I will see if I can find out the paint color. They are a basic white, but if I can find the “actual” color, I will let you know. Just saw this on Hometalk… Absolutely gorgeous!!!!! I LOVE the colors. 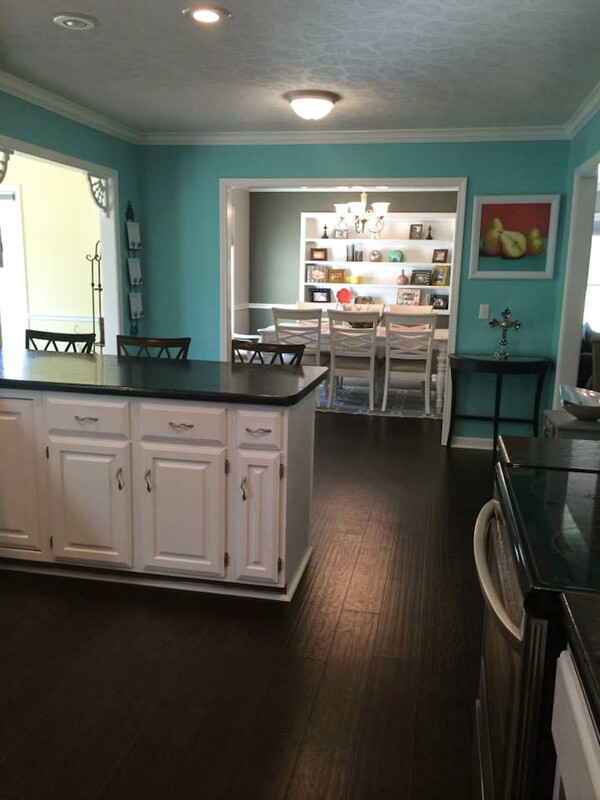 Your turquoise kitchen looks fabulous! I too, have a turquoise kitchen and what is really funny is the fact that I have the very same backsplash. So easy to maintain. I love the black countertops with the white cabinets. You certainly “perked up” that dreary, dark kitchen. Good job! Your kitchen is an absolute WOW now! 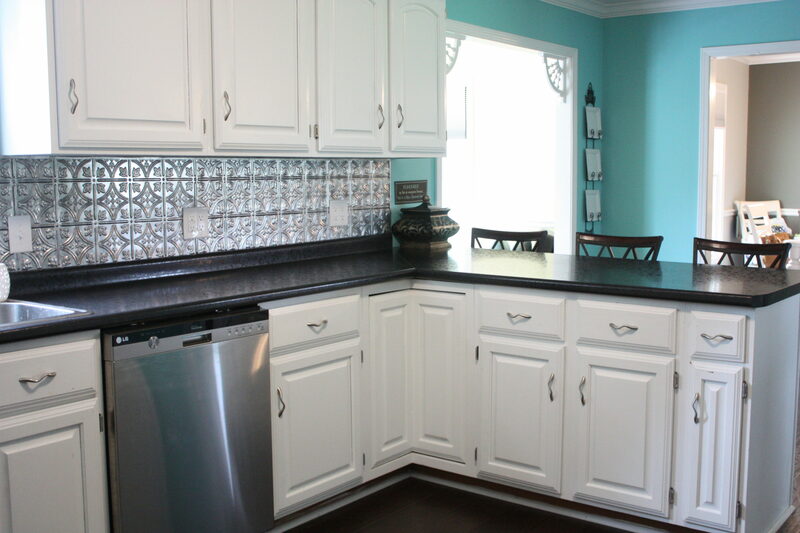 Love an aqua kitchen and I would love one for myself but I installed cobalt blue and white tile in mine before aqua was my new favorite color. I love my kitchen still but I would do it aqua now. 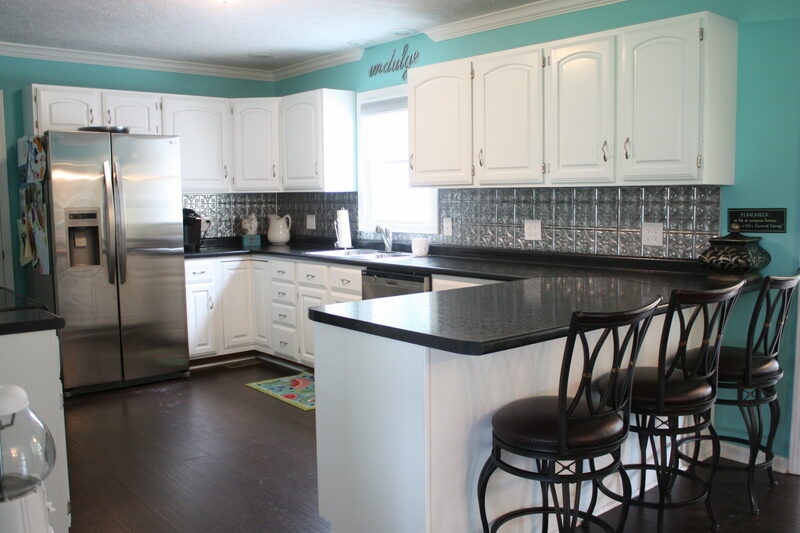 Love the white against the walls with the black counter tops….again, WOW! Hi Brooke! 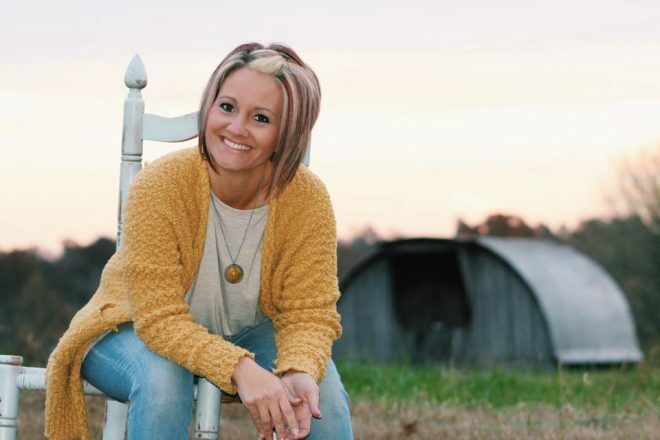 I am wanting to make some updates to my kitchen and I came across your blog. I was wondering who you got to paint your cabinets and how much it cost? I’m wanting to paint mine and just not sure if I have the time to take that project on myself! We got a local painter to do all of the painting in our home when we bought it 2 years ago because we had 1 month to be in, and it was a complete makeover from being in foreclosure for a long time. He painted everything (all cabinets in kitchen and all baths, every wall and all trim) for a set price, but I truly can’t remember what it was! I have painted my own cabinets before in two previous homes, and it is tedious but not hard! It takes a lot of time for sure. Your house is beautiful by the way! I love what you have done with it! It just amazes me when I see these kind of transformations! Thanks so much, Suzan! I love the backsplash too- and I love to see it used as a ceiling. It will look amazing! Wow, gorgeous transformation! Such a bright and happy space – love it! Thank you so much, Cristina! It is a very happy space for sure! Brooke, I am loving the look of this kitchen, we inherited our house from my mother in law, and we decided to paint the kitchen cabinets and all. This is the first time I have seen your blog, and I was surprised. We painted our cabinets white and have already put up the back splash, it came from Lowe’s and you guessed it, it is the same as yours. We also used the same cabinet door hardware as you did. 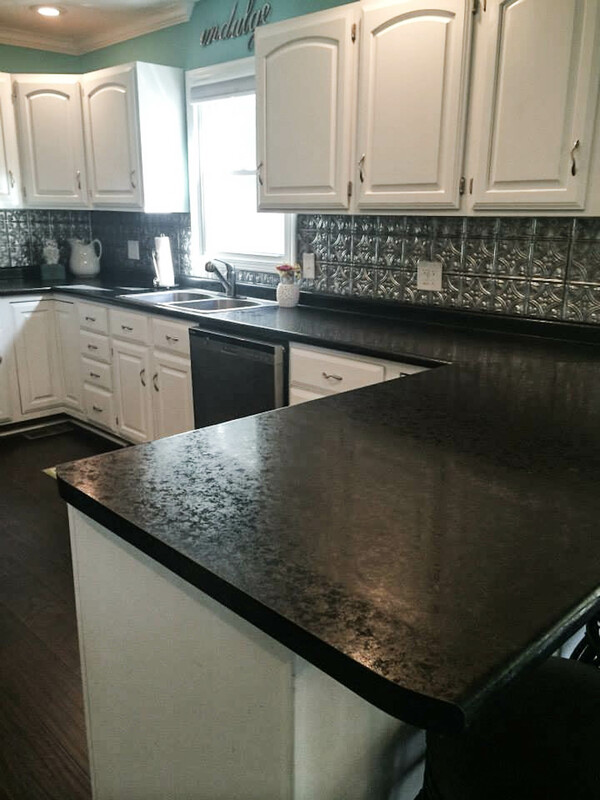 I was planning to use either concrete or black counter tops. The color in the kitchen is through linens, curtains, etc. and we are using turquoise and lime green. The other difference is we are painting the walls a light greyish/turquoise color. But it is very similar, I couldn’t believe someone else has picked out the same things I picked out. How crazy is that, Sandy!? Great minds think alike! Ha!! I wish I could see yours! Wow, very pretty. Thanks for sharing!